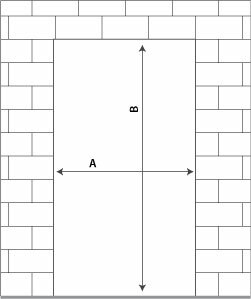 Note: For fire rated openings, drywall must extend at least 1/2″ into frame. 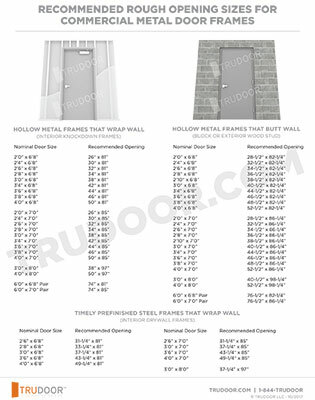 for a 3’0″ x 7’0″ door & frame. O.D. 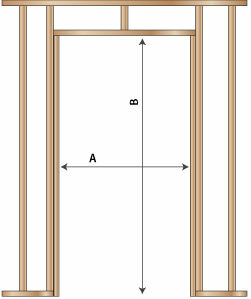 of frame is 40″ x 86″, as the frame face is 2″ around all 3 sides. Use shims and/or caulk to seal gaps between wall and frame.